All Kerala Senior Athletics Meet, jointly organised by Kochi Corporation, IMA Cochin and NGO Magic will be held at the Maharaja's College ground on Saturday. 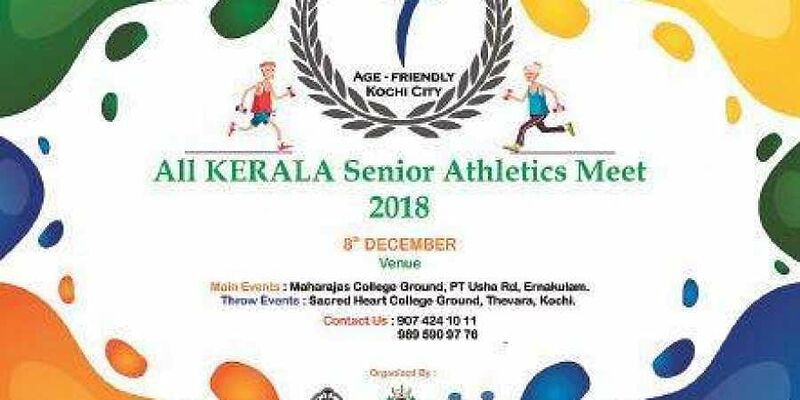 KOCHI: All Kerala Senior Athletics Meet, jointly organised by Kochi Corporation, IMA Cochin and NGO Magic will be held at the Maharaja's College ground on Saturday. The meet, which aims at making Kochi an age-friendly city, will engage senior citizens in sports and spread the motto of a healthy lifestyle. The second instalment of the meet will have events in both men and woman categories. Throw events of the meet will be held at Sacred Heart College ground, Thevara. The day-long event open to participants from all over the state is supported by the Kerala State Athletics Association. The meet will witness 3 km walk, jump events like triple jump, high jump, long jump, races in 110m, 200m, 400m, 800m, 1,500m and 3,000m categories and throw events like javelin, discus hammer and shotput.